After a long and somewhat predictable wait, the NBA Finals, and a third consecutive match-up between the last two NBA Champs in the Cavaliers and Warriors, have finally arrived. 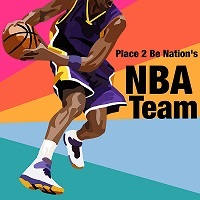 Now, Adam Murray and Andrew Riche of Place To Be Nation’s NBA-Team are here to break down everything they can imagine from this highly anticipated series. How will the Warriors guard LeBron now that they have Durant at the forward position instead of Harrison Barnes? Will the Cavs’ defensive strategy of getting chippy with Steph Curry now work like it did in the previous Finals? Is it possible that leaving Klay Thompson open might be the Cavs’ best option? 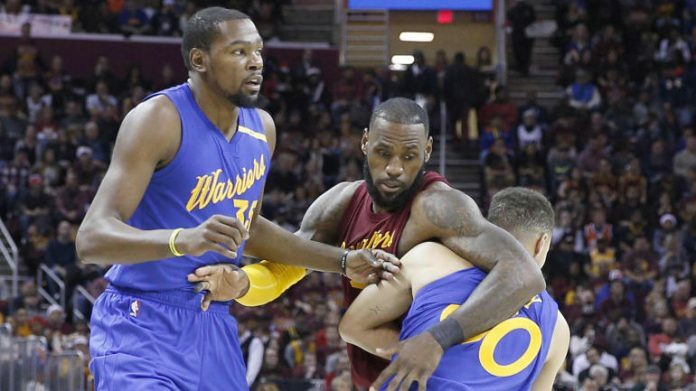 They also discuss who are the “bad guys” of this year’s Finals, Andre Iguodala, Kevin Love, Kyrie Irving, and some news and notes to close out the show. So suit up and take it out, NBA Finals style, with the NBA-Team!